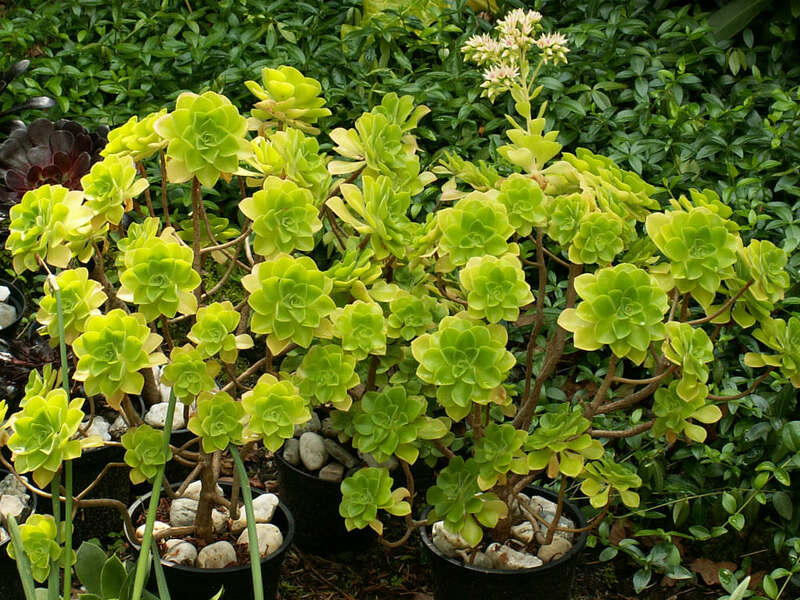 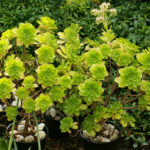 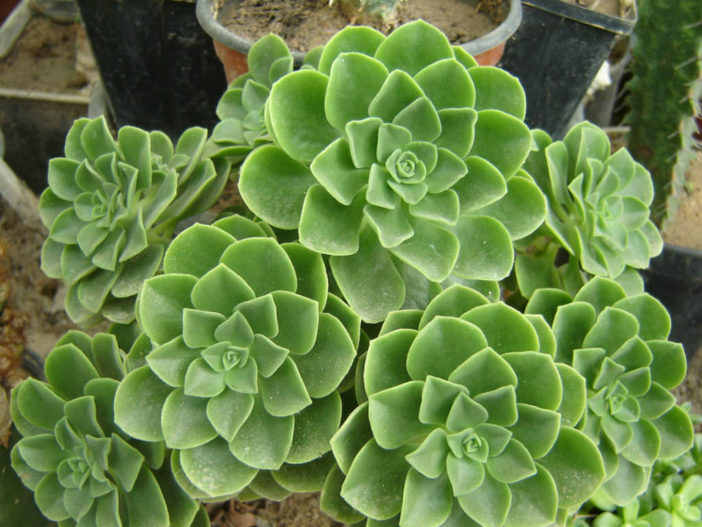 Aeonium goochiae is a small, perennial, succulent shrub up to 12 inches (30 cm) long, with highly branched stems and small rosettes of egg to diamond-shaped leaves, light to dark green in color, sometimes reddish. 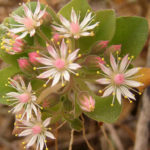 The flowers are white to pale pink, up to 0.6 inch (1.5 cm) in diameter. 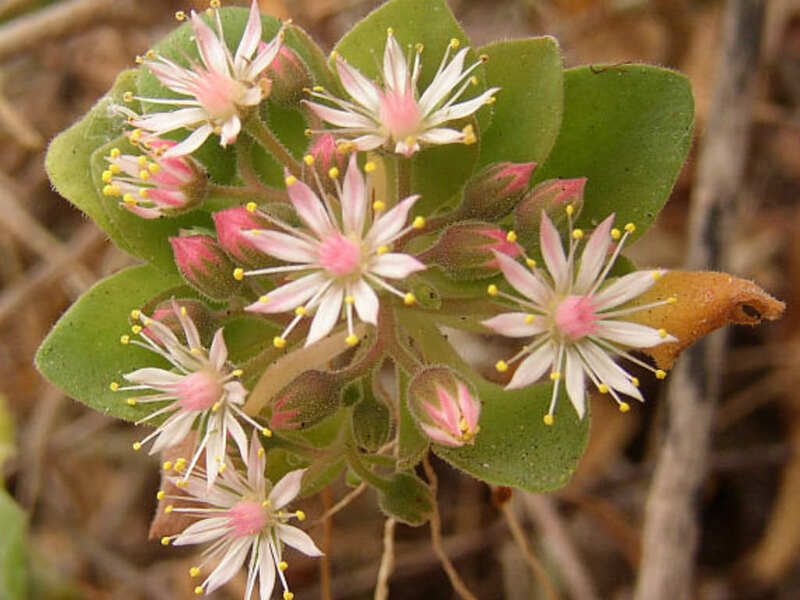 They bloom in mid-spring.